Headlines, hot news, and conversation starters on February 11, 2015! 2 Single on Valentine’s Day? 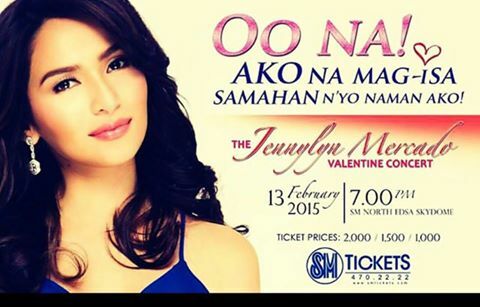 You might want to check out Jennylyn Mercado’s Valentine concert, “Oo Na! Ako Na Mag-Isa. Samahan N’yo Naman Ako!” on February 13, Friday, at the SM North EDSA Skydome.